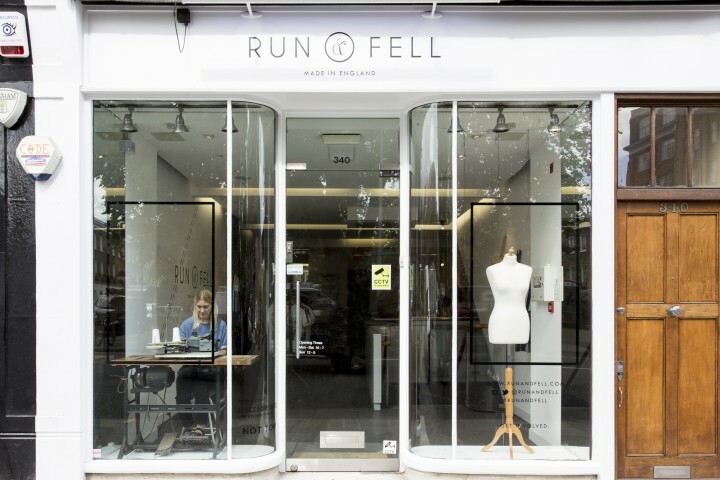 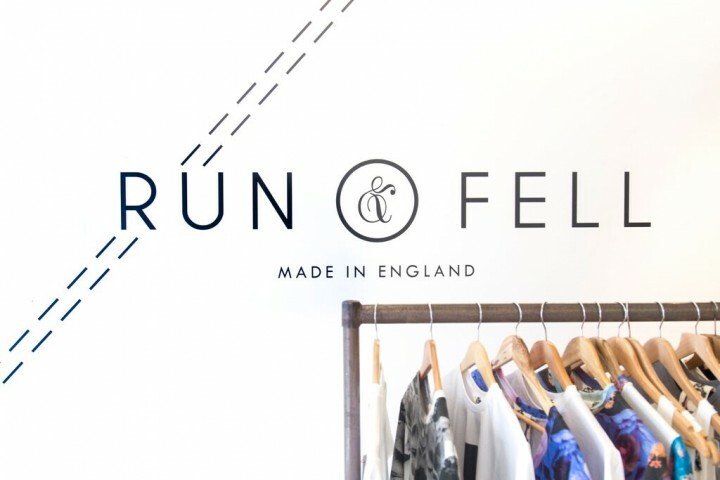 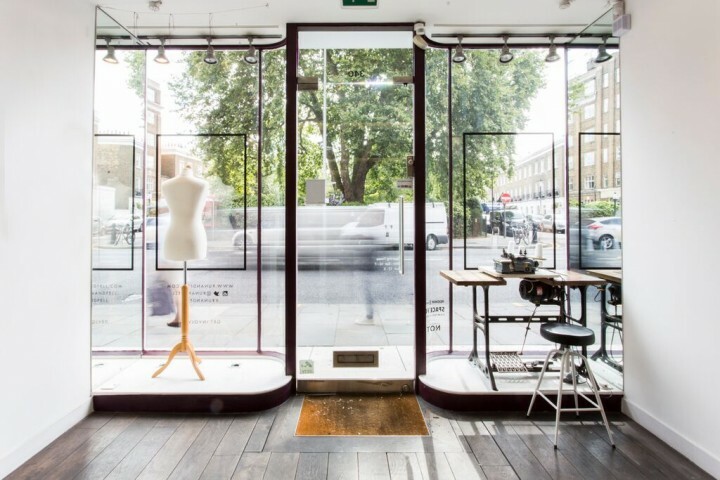 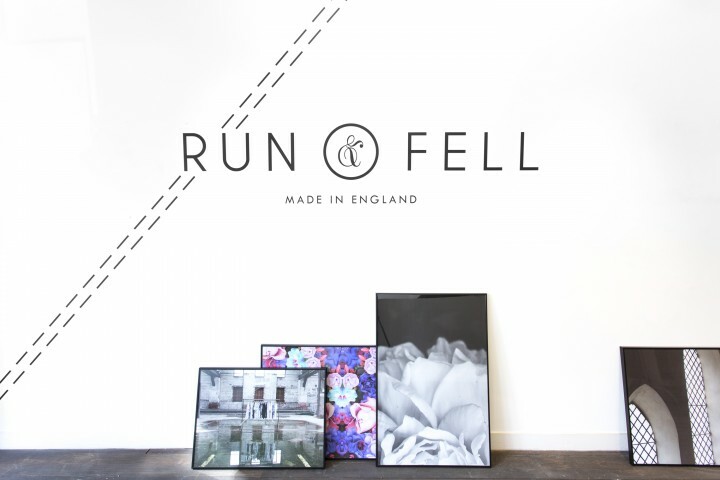 ﻿ Run & Fell / Pop Up Shop | not tom. 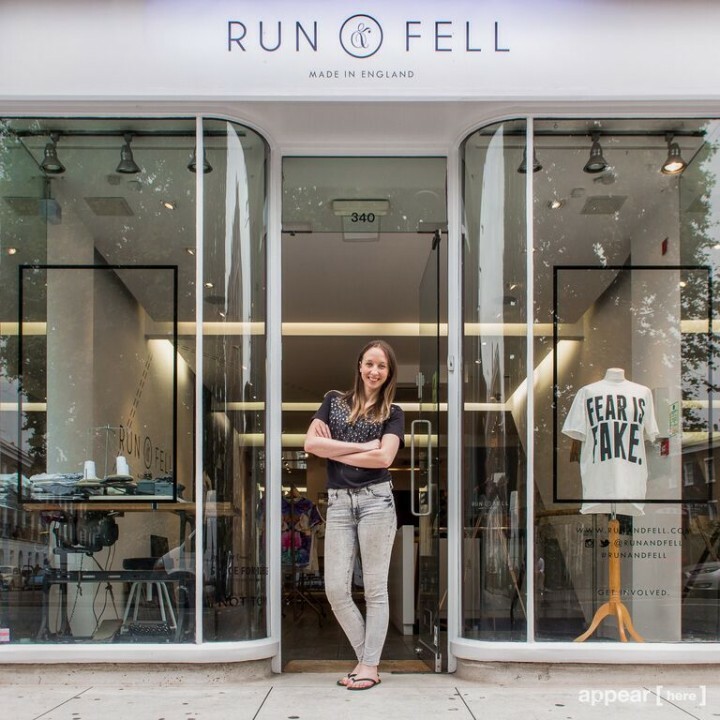 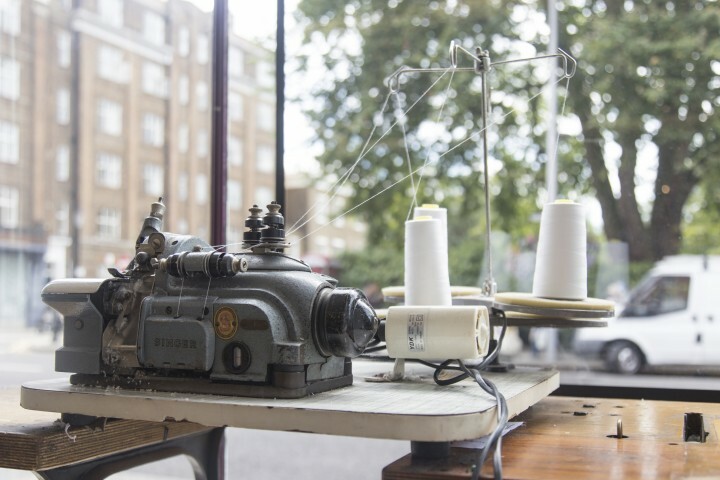 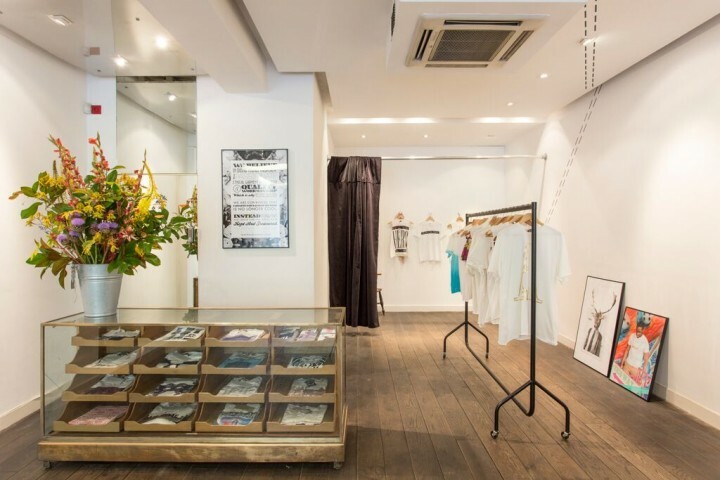 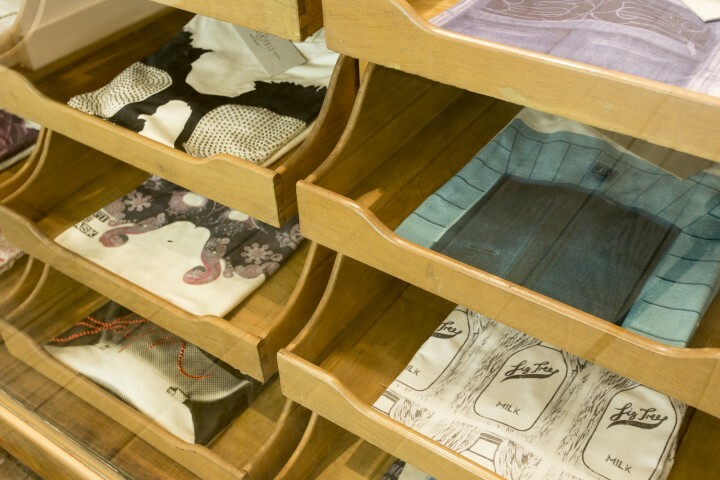 When T shirt brand Run & Fell were selected for a pop up shop through Appear Here‘s competition, they asked us to create them a space that would showcase their unique limited edition t-shirts. 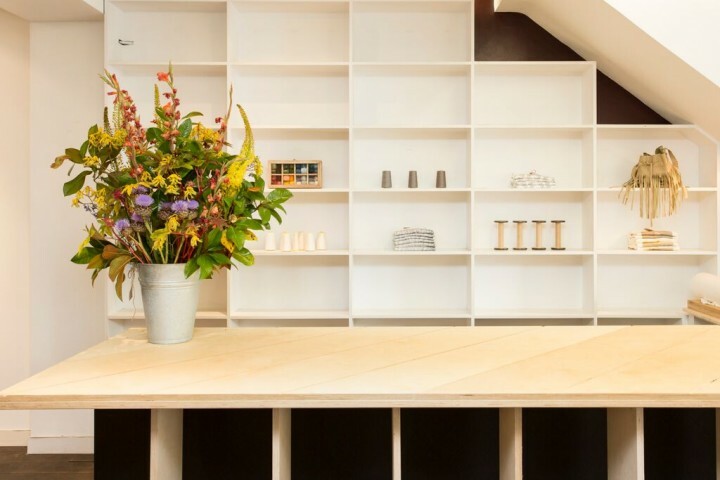 We created a minimalist space with industrial rails, clean white modular shelving and a stitch inspired wall graphic.